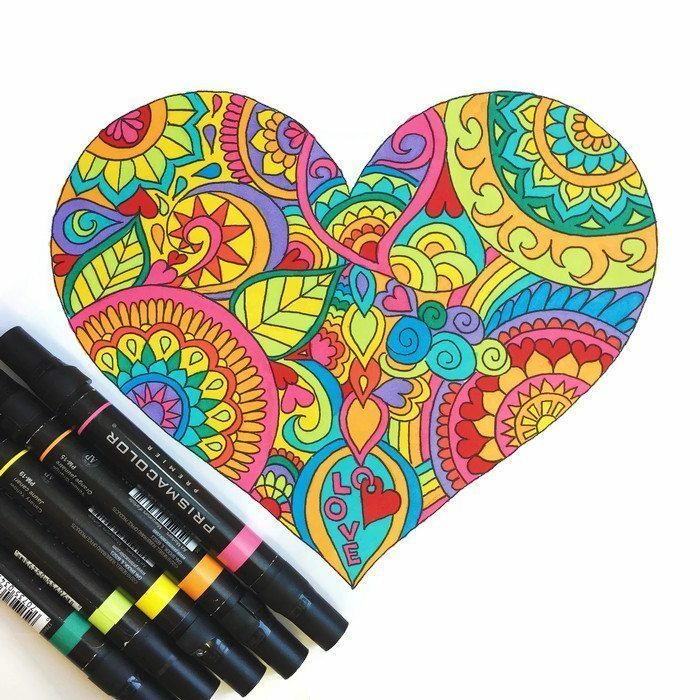 These fun heart coloring pages are perfect for Valentine’s Day. Print a whole stack of them for your Valentine’s Day party. Or cut out your finished heart and turn it into a Valentine’s Day card. Lots of options. –Prismacolor markers are what I used mostly for coloring in these two pics. Worth the higher cost. –Sharpie 24pk, extra fine point. Lots of color options. Download this mandala heart here. 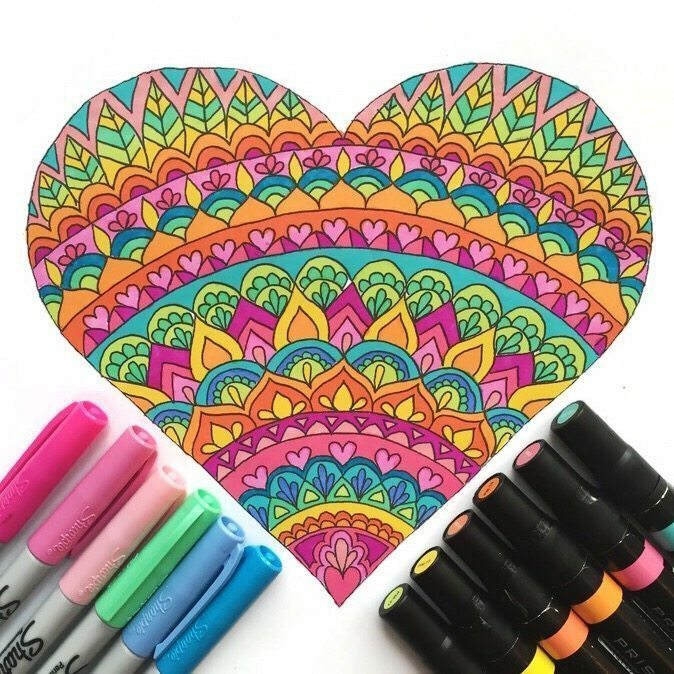 Download the intricate heart coloring page below here.